"The Waste Land is a collaboration between Christopher Domig and Daniel Domig, and is a beautiful hour of experimental theater. The acting and visuals are captivating, and it’s a treat to hear this lyrical, epic poem spoken out loud. Eliot’s poem is a central piece of English literature for good reason." “The Waste Land” remains a stunning poetic portrait of the life of the meandering mind. 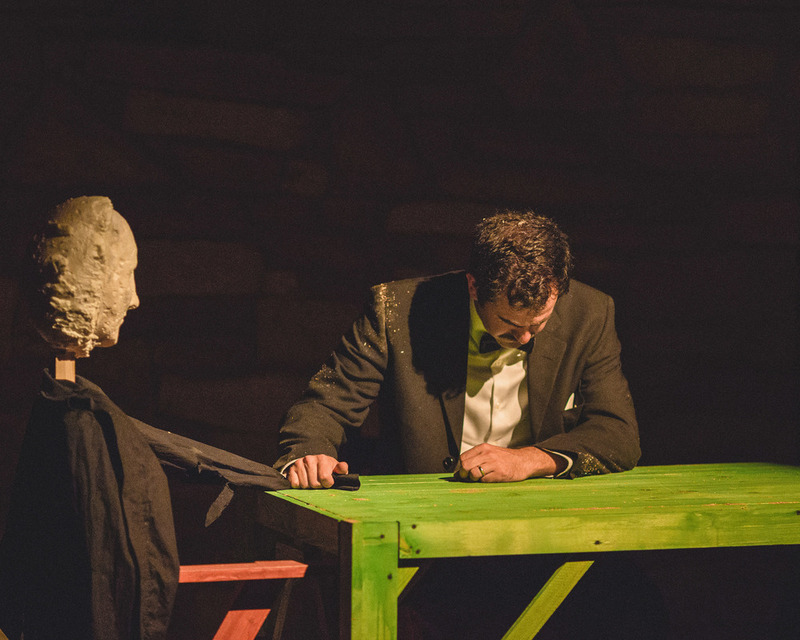 Spoken with gravitas by Christopher Domig and animated by the eerie objects of Daniel Domig, it comes to life in this intriguing FringeNYC show, allowing us all to confront our own inner wastelands"
“The Waste Land,” by T.S. Eliot, is widely regarded as "one of the most important poems of the 20th century" and a central text in Modernist poetry. Published in 1922, the 434- line poem first appeared in The Criterion. Eliot's poem loosely follows the legend of the Holy Grail and the Fisher King combined with vignettes of contemporary British society. Eliot employs many literary and cultural allusions from the Western canon, Buddhism and the Hindu Upanishads. Because of this, critics and scholars regard the poem as obscure. The poem shifts between voices of satire and prophecy featuring abrupt and unannounced changes of speaker, location, and time and conjuring of a vast and dissonant range of cultures and literatures. Eliot originally considered titling the poem “He do the Police in Different Voices.”! The poem's title is often mistakenly given as "Waste Land" or "Wasteland", omitting the definite article. However, in a letter to Ezra Pound, who helped edit the poem, Eliot politely insisted that the title was three words beginning with “The." "The Waste Land", a dense, allusion-heavy poem which went on to redefine the genre and become one of the most talked about poems in literary history. For his lifetime of poetic innovation, Eliot won the Order of Merit and the Nobel Prize in Literature in 1948. He spent most of his life in Europe, and died in London in 1965. T.S. Eliot has had a major influence on artists and non-artists alike. As painter and actor, we were particularly interested in engaging with the world that Eliot creates in The Waste Land. However, this project is not a guided tour of the work. It is an invitation to lose oneself within the harsh and strange reality of the The Waste Land while recognizing that we have a lot in common with the world of Eliot's poem. Great painting, poetry, and theater all share a process of unfolding and stumbling into the unknown, with the hope (and an increasing knowledge) that nothing is ever wasted, and that the journey itself bends our understanding of ourselves and of our world towards new territory--a new land. 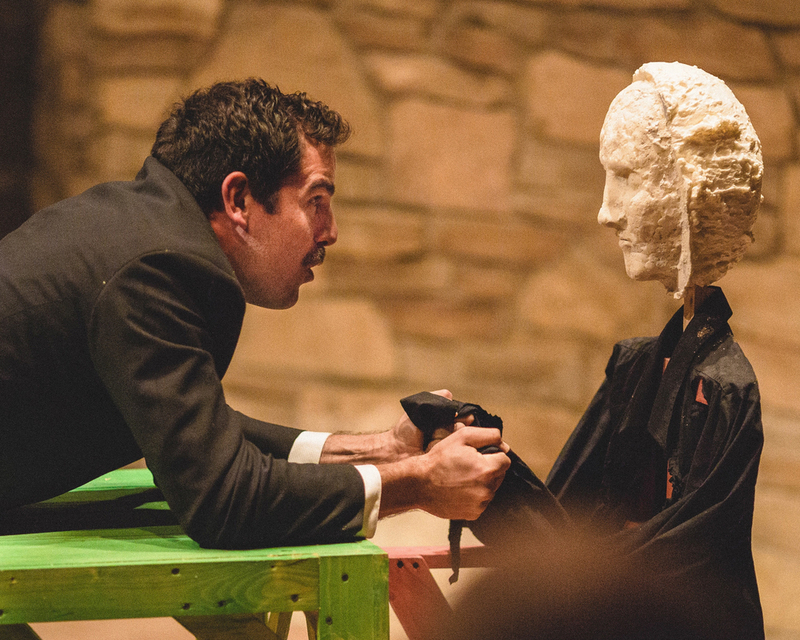 Join our mailing list, and stay informed about what SEA DOG THEATER is doing. Thank you! We look forward to being in touch.